The Male Model Music Project: SOMEWHERE: A film written and directed by SOFIA COPPOLA Coming Soon!!! SOMEWHERE: A film written and directed by SOFIA COPPOLA Coming Soon!!! 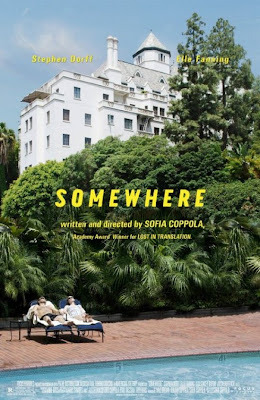 Check out the trailer for Sofia Coppola's upcoming film Somewhere, starring Stephen Dorff, Elle Fanning, Michelle Monaghan and Benicio del Toro. The movie will feature music from Phoenix.